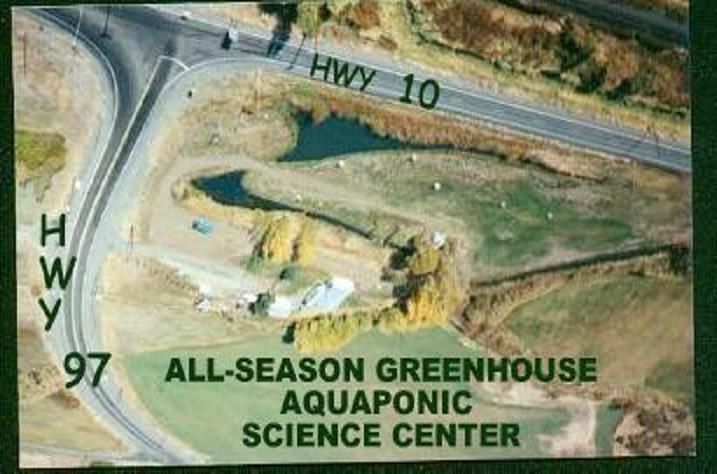 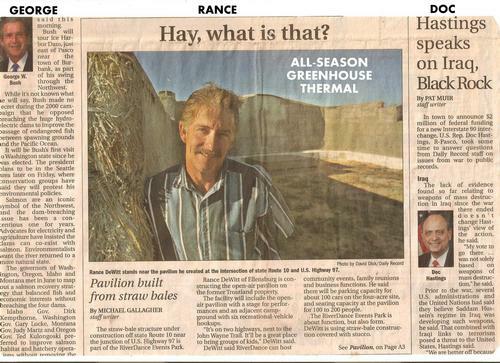 PACIFIC RIM fish farmer designs an all-season greenhouse for plants on walls over trout in ponds. 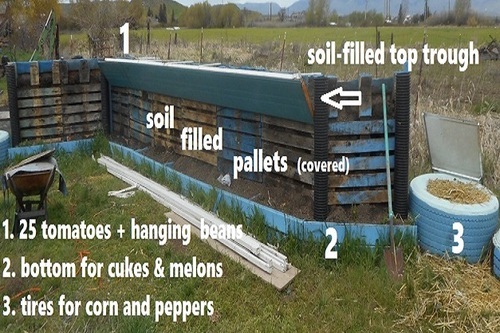 Pallets on steel fence posts are plywooded and lined and filled with planting soil with wall troughs for wall gardens. 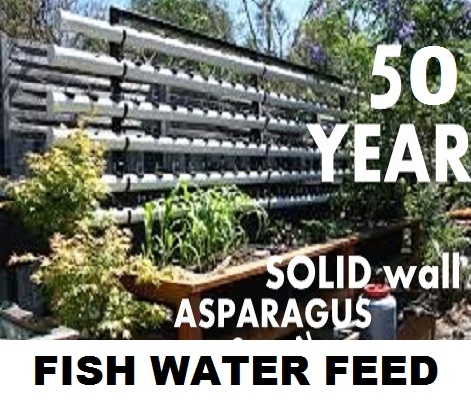 Not plants on water or on the floor or topsy turvy but walls. 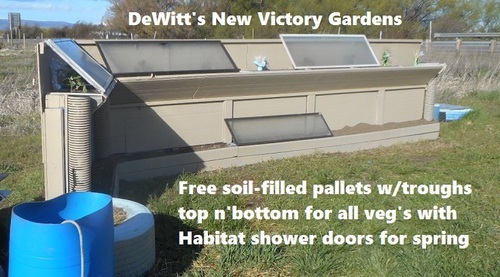 WATER FROM TROUT HATCHERY TANKS BELOW FEED WALL GARDENS. 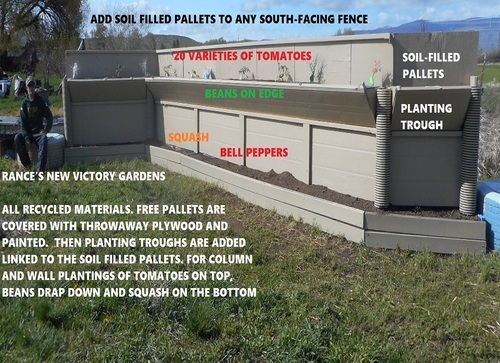 SOLID THERMAL WALLS ARE SOUTH FACING FOR WINTER SOLSTICE SUN AND HEAT FOR PERMANENT WALL PLANTINGS.